This delicious Dairy-Free Probiotic Parfait is a wonderful way to get your dose of probiotics without dairy (which can cause some gastrointestinal upset for those who are sensitive). When topped with antioxidant-rich berries and walnuts (full of healthy omega-3 fats! 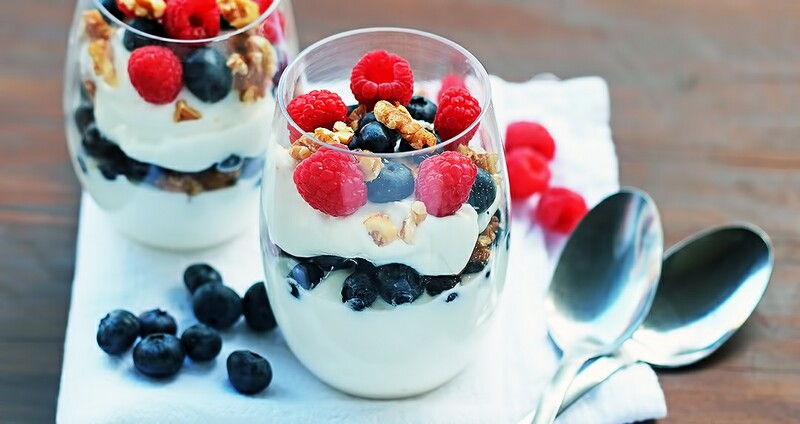 ), this parfait is a fabulous way to start your day or satisfy an afternoon craving. In a bowl or glass, add half of the coconut-milk yogurt and top with half of the berries. Add another layer with the remaining coconut-milk yogurt and top with the remaining berries. Sprinkle chopped walnuts over the top and enjoy immediately.